· Search of escaped debtors. In our arsenal we have large data bases , the latest technical means by which it is possible to actively search . We cooperate with foreign colleagues in the International Police Association , whereby searches can go international . We can find a person by phone number, name and any other information. 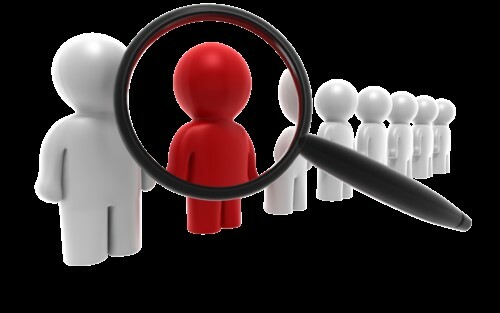 Today the search for missing people is the most popular service private investigation . After all, according to statistics, every day in our country lost about a hundred people: one becomes a victim of an accident , someone becomes a victim of criminals , etc. Most of the missing are in the first 3-4 days after treatment in the police. But sometimes there are occasions when the weeks , months and even years , and the man was never found . Detective Agency " Private detective Ternopil" conducts search for people in any region. If you have lost touch with one of his relatives , and you want to find him , the specialists of our agency will help you with this. With a minimum of information, we will try to get the maximum result . Our agency is searching for the names of relatives . We will help you find your family , which you never knew existed. If you want to find a specific person, which for a long time did not communicate, our detectives will help you to find out his whereabouts. Sometimes in life there are times when we meet people , we spend some time with them , and then our paths diverge. And after a while there is an overwhelming desire to find this person . Someone does it just out of curiosity to see how his life , and someone in the hope to resume the relationship , because this person is not indifferent . Our agency conducts search for people by name, even if it changed . Before you borrow a large sum of money , think , and if you can restore it later ? Recently, quite often unscrupulous people or just a scam that after they received the required amount, begin to disappear . Find them pretty hard, especially when the transfer of money was not well documented . Indeed, in this case, the police will not help you . Detective Agency " Private detective Ternopil" searches for people by name or other personal data not only with documents confirming credit operations, but also in their absence . If you put down your debt your phone number , this is no guarantee that you will be able to it is easy to find, even in spite of the fact that now the Internet can find a large number of data bases. If you want to find any specific information about the owner of a particular number, you 'll realize that it's not so simple. Each database has its limitations , not all phone numbers are listed , almost all of them are paid, and in most cases and fraudulent . The staff of our detective agency to help you find a person by phone number in the shortest line. Our detective agency search service people organized so that we can find someone as soon as possible . Even if the customer provides very little background information , and the need to find a person by phone number.